Sadly, this is a battle whose frontlines extend way beyond Gaza. Far more than just an Israeli problem, the unrelenting attacks on Israel are an affront to every single Jew and, for that matter, every moral person, for anti-Semitism know no bounds. In Poland, for example, 70 years after trying to purge the country of its millions of Jews, Polish protesters are demonstrating and calling for Israeli flags to be destroyed in the crematoria chimneys. Exactly who are these Poles of today so threatened by? In light of our current threats, clarity can be gleaned from a lesson of the Lubavitcher Rebbe, of righteous memory. Contemplating how a person sitting comfortably in an armchair on one side of the world, through a simple press of a button activating a nuclear arsenal, can drastically change the landscape of the entire world, he countered that likewise one mitzvah, one positive action, can produce everlasting effects. By performing one seemingly simple mitzvah, we can span oceans and continents. Chaos theory says that a butterfly can flap its wings on one side of the world and cause a series of conditions producing a storm at a remote location. Although our universe seems dauntingly large, we are all interconnected. What can we do beyond staying informed about the suffering of innocent people in the Middle East? We can perform a good deed whose far-reaching repercussions may never be known to us. We can go to Shul tomorrow in honor of our brothers and sisters and pray for their safety. We are a connected people. 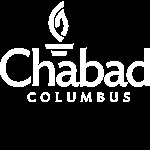 When we do a mitzvah here in Columbus, Ohio, our family in Israel is helped. As Israel’s brave soldiers proceed into Gaza, we pray that G‑d stays ever close with each and every one of them. They are not the frontline just for the Jew of Israel, but, indeed for every Jewish man, woman and child and for every right-minded person.